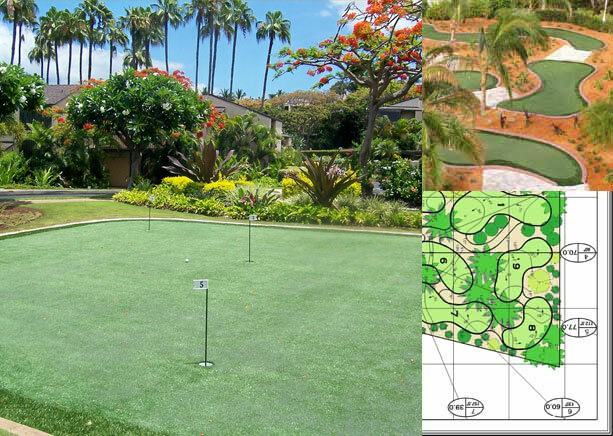 When you want the very best in design and installation you want Southwest Greens by Nicklaus Design! These top-quality putting greens are aimed at satisfying our most demanding clients. With quality synthetic turf and expert construction and installation, you can have golf course style greens at your home or commercial area! For residential or commercial settings 1000 square feet or larger, Nicklaus Design’s team of professionals can help you design a practice area that can include short-game chipping areas, bunkers and so much more. All of this in addition to your putting surface and based on your personal preferences! Since 1996, Southwest Greens has been the leader in designing and installing championship caliber golf greens, tee boxes and practice areas featuring highly-realistic synthetic turf. 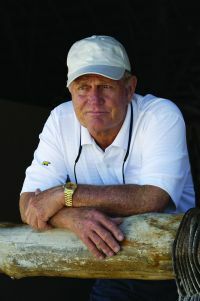 And for almost 40 years, Nicklaus Design and the Nicklaus Companies have been instrumental in the design of over 339 golf courses in 34 countries and 39 states. Now everyone can experience best-in-class incorporating professional design, installation and Golden Bear exclusive turf products. In partnership with Nicklaus Design, Southwest Greens is proud to offer an exclusive new line of Golden Bear synthetic turf. Developed with minimal maintenance and maximum performance in mind, this premium synthetic turf line gives avid golfers a realistic and playable surface worthy of bearing the Golden Bear trademark. Quality and integrity are not merely ideals our company strives to achieve, we build them into the products and services that we deliver to our valued customers. WHY SHOULD I USE SYNTHETIC TURF? There is a reason Southwest Greens has installed greens for over 35 top PGA Tour professionals and has a longstanding relationship with Nicklaus Design. We build golf greens that perform like a natural green without the maintenance. Our customers want a consistent and durable green to practice all aspects of their short game. Whether it is for the home, commercial resort, driving range or golf course facility; our design expertise, installation excellence and turf products deliver. Part of building a true golf green that everyone can appreciate is simply—does it look right? Southwest Greens has developed putting, fringe and rough turf that is uniquely made to look and feel like the real thing. Bent and Bermuda allow us to create the right contrast in terms of color, height of the grass, texture and density of the fiber. Take a look at our multi-cut turf greens and judge for yourself. Southwest Greens has collaborated with Nicklaus Design to create an integrated design process using computer-aided design (CAD) platform and a library of Nicklaus green designs ranging from 500 sq.ft. to 5000 sq.ft. Trained Southwest Greens designers can customize a green to match your requirements using design principles and templates provided by our partner-Nicklaus Design. 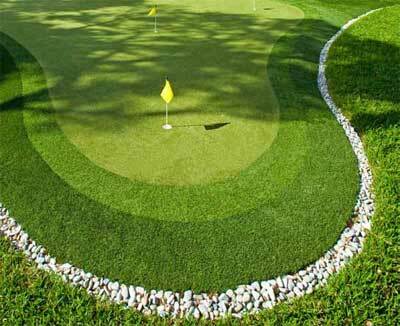 Give your range some relief by installing our latest generation of synthetic tee line turf. Constructed of our most durable, heavyweight turf fiber and backing system, these tee lines are a great solution for driving ranges that need a low maintenance yet realistic hitting surface so natural turf areas have a chance to recover. Southwest Greens, in partnership with Nicklaus Design, has created professional-style putting courses, short game practice areas, regulation size golf green courses, resort putting green amenities and even private individual golf holes. Do you have a dream project in mind? Let us make it a reality! 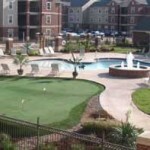 Southwest Greens stands by its products and installation with exceptional customer service. We provide product and installation warranties that exceed industry norms. Southwest Greens built its reputation on quality installations and creating golf greens that react like a natural, tour quality golf green. You won’t find another company more committed to exceeding your expectations.